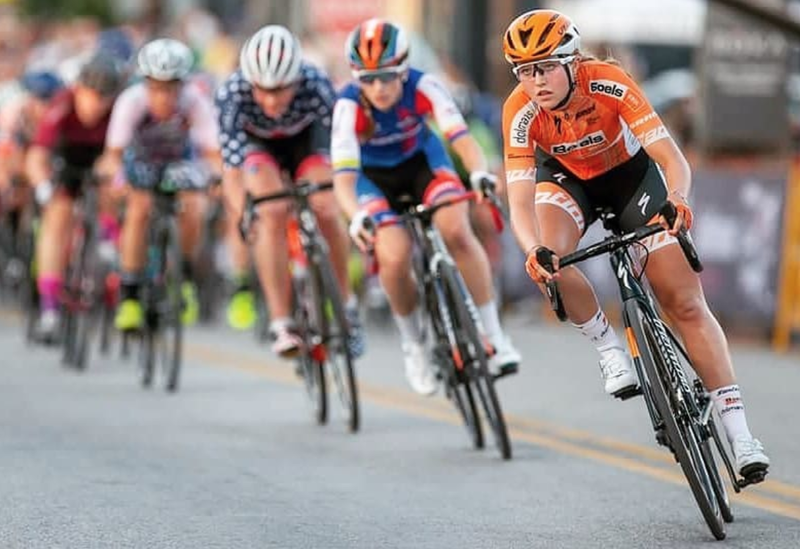 At just 20 years old, professional cyclist Skylar Schneider has already garnered quite an impressive athletic résumé, including a silver medal in the 2016 Junior World Road Racing Championships and a spot on worlds #1 rated professional cycling team, Boels-Dolmans. Nutrition and recovery are two key aspects of Skylar’s intense training regimen, including her daily FlavaNaturals cocoa flavanol boost. What is your nutrition philosophy, and how does the way you eat fuel your performance on the bike? Over the years I have learned that it doesn’t matter how much an athlete trains if they’re not also focusing on nutrition. Cooking is a passion of mine, I try to incorporate as many seasonal ingredients as possible, and am frequently shopping at the local farmer’s market (no matter which city or country I’m in). There’s no dieting as an athlete, without food there’s no fuel. Therefore- in simple terms- my main philosophy is to cook from scratch with real ingredients and to eat a lot when my body needs it! How do you stay on top of your game, both physically and mentally? Being a professional athlete isn’t just a job or a passion; but, also a lifestyle. It’s consuming of my everyday decisions from arranging my days around training and recovery to what I’m eating to planning for travel between races. I’ve learned that the only way to give 100% of myself to both my “normal life” and my “professional life” is to understand and appreciate balance. Sometimes this balance comes with compromises and sacrifices but the bottom line is that I need to choose what is going to make me happy. What’s the most important part of your recovery routine? Nutrition is essential when it comes to my recovery routine. As soon as I finish training or a race, my first priority is to have protein. My favorite is to make a recovery shake to drink (which I LOVE to put FlavaMix in) and then focus on eating something within an hour. If I’m in a heavy training block or a multi-day race, then I spend a lot of time lounging in bed, essentially staying off of my feet to come into the races as rested as possible. A perk of being a professional cyclist are the daily massages when I’m with my team! What do you like most about FlavaBars/FlavaMix? I’ve always been a dark chocolate connoisseur but found it difficult to find a chocolate bar that was equally delicious as nutritious. Enter FlavaBars into my life and it was love at first bite ;)!! I could call these chocolates and mixes my guilty pleasure, but when I indulge in them I don’t feel guilty! I’m fascinated by the research being done in terms of how cocoa flavanols can be a benefit to the heart, brain, circulation, and skin. My little bit of luxury before bed now is to steep a small pot of tea, #HavaFlava bar, and read my book. Totally disconnected from technology and indulging in the simple things! I highly recommend it. I love to see the different recipes to make with the FlavaMix and it has become a staple in all of my smoothies… especially smoothie bowls for breakfast!